Steven Streisguth (pronounced 'STRICE-gooth') is a multidisciplinary designer based out of foggy San Francisco. 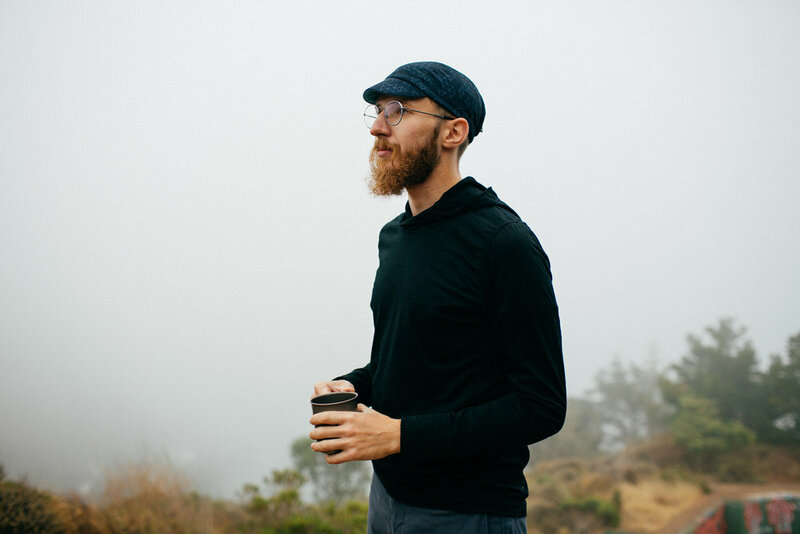 Steven currently works as a Senior Experience Designer at ThoughtWorks, Inc. where he designs product and marketing solutions for software development tools such as GoCD. Armed with a BFA in Illustration from the University of the Arts in Philadelphia, he has received recognition from such industry organizations as 3x3 Magazine, American Illustration, and the Society of Illustrators. He frequently collaborates with film director Richard Law, and from 2012-2014 Steven co-produced a popular menswear and lifestyle blog known as The American Classic. 2 May 2018: Updated template and layout based on feedback sessions. 14 April 2018: Edited site for active qualitative feedback during AIGA SF Portfolio Day. 11 March 2018: Added a section under 'Design' to showcase my self-branding project for my photography portfolio, Artifact 121. 10 March 2018: Changed 'Archives' label in header to 'Additional Works' and reorganized the header order to improve wayfinding. 19 February 2018: Edited 'About Me' section. 12 February 2018: Added 'Parks and Tech 2018' project to Design section. 10 January 2018: Added additional content under ThoughtWorks Marketing section. 7 January 2018: Added section under Design for my winning submission for the Adobe Creative Jam 2017. 16 December 2017: Moved Changelog from home page to 'About' section, replaced with slideshow of recent portfolio examples across design disciplines. Added additional content to 'Marks + Logos' section. Finally added pronunciation of my last name to Bio section. 17 October 2017: Added project photos to 'ThoughtWorks Marketing' section. 10 October 2017: Edited bio in 'About' section. 9 October 2017: Added 'Blog' section. First post is a ride report of Grinduro 2017 California, where I completed six drawings during the course of the race. 19 Sept 2017: Edited 'About' section. 11 Sept 2017: Added storyboards for GoCD Promo spot, and more images to the gallery on the same page. 7 Sept 2017: I am building this site progressively, attempting to collect and catalog the work I have been creating over the past decade. Please visit the links in my Archive section for to view my portfolio as of 2015, which includes illustrations, UX/UI projects, photography, and publications. My full-time work as of 2015-present has been primarily for ThoughtWorks Products. My illustration practice most recently features situational and plein-air drawings, often published on Instagram.